Need Help With Your Hearing? The ways that hearing loss can be managed. For a quick and easy overview of hearing loss and hearing technologies, click on the Interactive Ear animation below. HEARnet Online can help you quickly understand the different types of commercially-available hearing technologies so you can find the right device for your hearing needs. 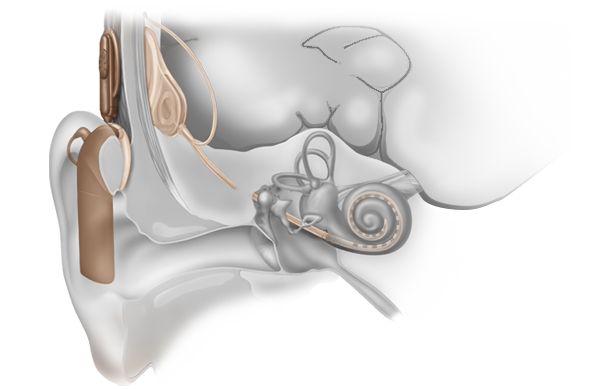 For a quick and easy overview of the range of current commercial hearing technologies, click on the Interactive Ear animation below. HEARnet Online's Interactive Ear provides a visual way to quickly understand hearing loss and how different technologies can be used to manage certain types of hearing loss. 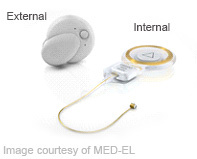 Click on the Understanding Hearing Loss & Hearing Technology tabs below to find out more. A conductive hearing loss is caused by a problem in the ear canal, ear drum or middle ear. 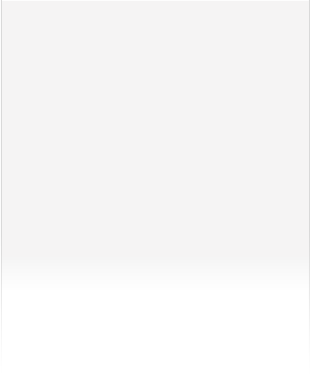 It results in the sound being heard more softly or only hearing lower-pitched sounds. 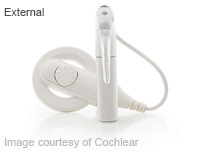 Conductive hearing loss can be permanent or temporary. A sensorineural hearing loss is caused by damage to the cochlea or auditory nerve. It results in some sounds being heard more softly or not at all. May be temporary (i.e. noise induced) but usually permanent. Can be associated with Tinnitus (ringing in the ears). Mixed hearing loss occurs when both sensorineural and conductive hearing losses are present. It can result from one cause such as otosclerosis or two different causes. Auditory Processing Disorders is an umbrella term that describes a variety of conditions thought to result from difficulties in processing the sensation of sound. Hearing loss problems related to APD do not show up on audiograms. 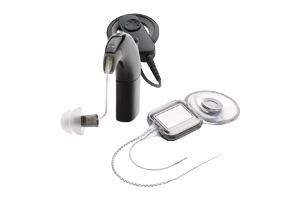 Hearing aids pick up sound and increase loudness so they are both audible and comfortable to the listener. 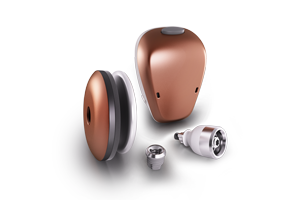 Hearing aid features keep updating as technology improves. The bone conductor picks up the sound, amplifies it and transmits it as a vibration. 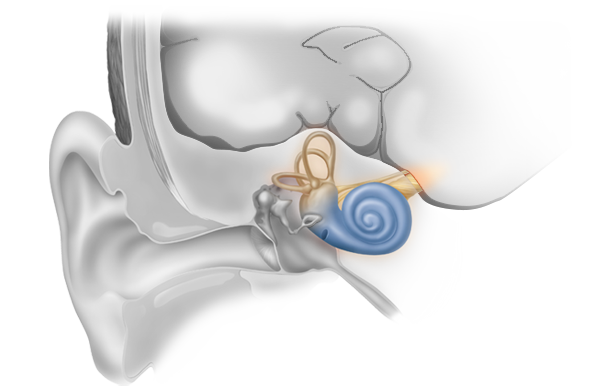 This vibration then travels to the cochlea resulting in stimulation of hearing receptors. 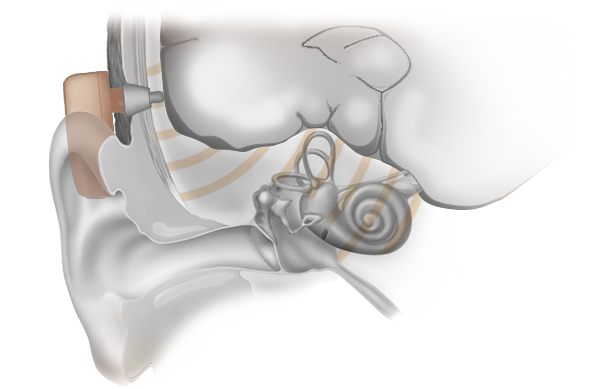 A middle ear implant picks up the sound, amplifies it and then transmits it as an electronic signal along a conductor link. 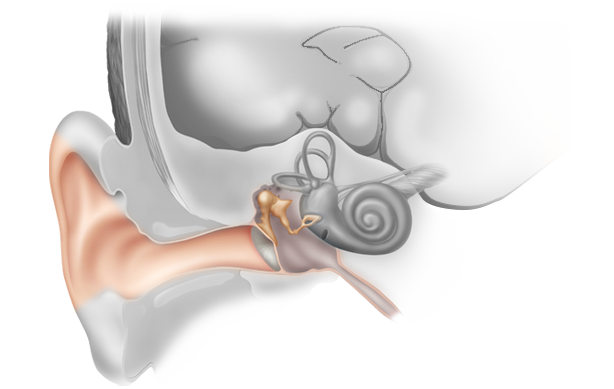 This vibrates a transducer attached to one of the small middle ear bones located next to the cochlea. 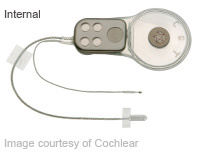 A cochlear implant picks up sound and transforms it into electrical pulses. These electrical pulses are passed onto an 'electrode array' implanted into the cochlea that stimulates the hearing nerve cells directly. A hybrid cochlear implant picks up sound and transmits the low frequencies to a hearing aid which amplifies the sound and transmits the high frequencies to a cochlear implant. An auditory brainstem implant picks up the sound, transforms it into a series of electrical pulses which are delivered to the auditory brainstem, where signals from the auditory nerve would normally be delivered.